Pure Harmony Medi-spa offers a variety of specialized paramedical treatments to prepare your skin for optimum results before facial surgery and cosmetic procedures and maintaining a perfect healing environment there after. all highly qualified and government accredited with the procedures performed. 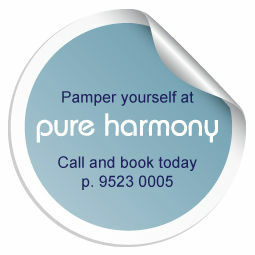 from the team at Pure Harmony Medispa. Shop online at Rejuvaderm for all your skin care products.